Ten tens of thousands of free books for free. Certainly there are many classic books you have not read. With the Free Books application it will change. If you are a bookworm, the Free Books application is for you. You will find here such wonderful authors as Jane Austen, Dostoevsky, Charles Dickens, Oscar Wilde, Mark Twain, Lewis Carroll and many more. Among the thousands of free books and audiobooks you will find many amazing books that have gone down in history. You do not have to look at the screen. 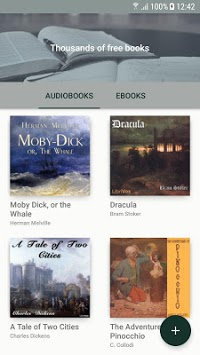 Many books are available in the version of free audiobooks. 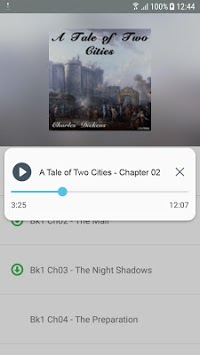 Thanks to free audiobooks, you can listen to books wherever you like. However, if you prefer to read or listen to an audiobook, use the built-in ebook reader. Thanks to this, reading a free book will be convenient and quick. Read and listen to free books everywhere for free. After downloading the book or audiobook, the application does not require an internet connection. Thanks to this, you can enjoy your favorite priests on the plane or in the mountains. 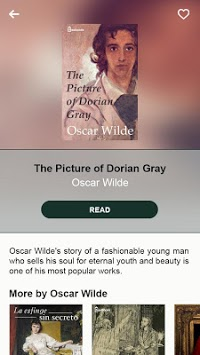 App contain only Public Domain books.